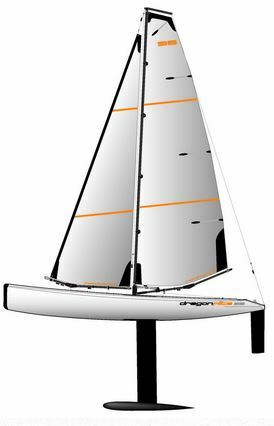 The DragonFlite 95 is one of the two fastest growing classes of RC sailboats in the world and is currently the 5th largest class in the AMYA. The DF95 is 37.4 inches long, weighs about 4.4 pounds and has 579 sq.in sail area. The DF65 is available ready to sail w/o radio for $345 and with a really nice 2.4ghz radio for $399.